The beekeeper gave the honey to the residents. But is it safe? After seeing a few bees in her bedroom, East Flatbush resident Cherisse Mulzac called in a local bee expert, Mickey Hegedus (also known as “Mickey the Beekeeper”), a man known for his chemical-free, cruelty-free extraction of bees. But even Hegedus wasn’t prepared for what he found above the bedroom ceiling. Turns out the Mulzac family was playing host to an enormous, 35,000-strong beehive, right above their bedroom. The bees, Hegedus told the New York Post, might have snuck in through some loose bricks on the building’s exterior and quietly built their hive for years, completely unbeknownst to the humans downstairs. Even more interesting, Hegedus collected and gave a whopping 70 pounds of honey to the Mulzac family, saying it’s “probably better than the stuff you can get in the store.” In a side-note, Hegedus mentioned that the honey from urban bees is often cleaner than the honey collected from bees in more rural areas, which we found intriguing. Could it be true? Beekeeping has been legally permitted in New York City since 2010, and there are now hundreds of urban beehives all around the five boroughs. And interestingly, despite terrifying downturns in the overall bee population, urban beehives have been thriving. “Counterintuitive as it may seem, data from the greater Boston area show that bees actually do better in the city,” writes Noah Wilson-Rich of Tufts University. 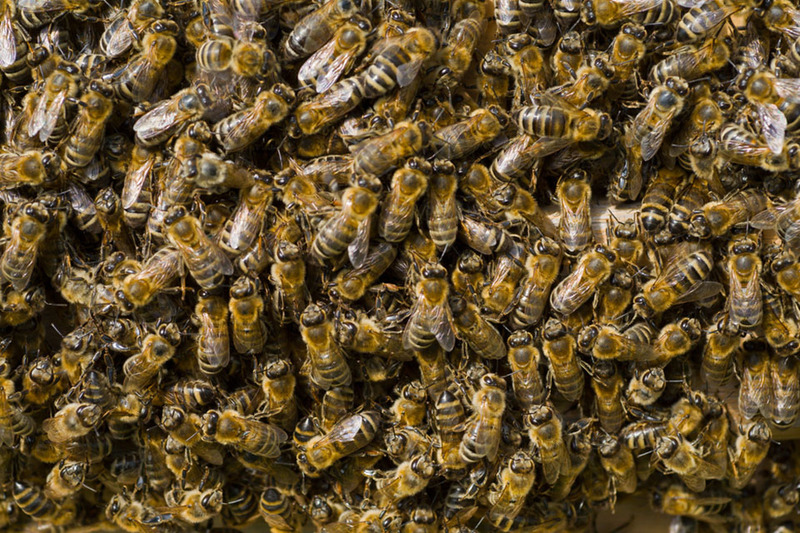 Nobody is exactly sure why urban bees have higher survival rates, but there are theories. In a time when monocropping and eradicate-all-weeds mentalities have taken over farming, there’s actually not all that much variety in food sources for honey bees in the countryside. And those single sources – corn, wheat, soy – are heavily dosed with pesticides, many of which have been linked to bee colony collapse. Urban areas are not nearly as heavily policed – at least, not in terms of their plant life. Hardy local weeds spring up in every available corner. Backyards and parks have no reason to be sprayed with pesticides, and so largely aren’t. That’s all great news for bees. Research indicates that urban bees not only produce more honey than rural bees, but that the honey these city bees produce is actually cleaner, with fewer pesticide traces. And what could be more local than honey brewed a few feet over your head?